Sri Theatre Company has announced its latest venture: The Sri Theatre company School of Fine Arts. The intention is to train kids so that they will appreciate the performing arts and will be able to understand what branch of performing arts they would like to specialize on as they grow up. The program will be taught by Arts graduates who have performed on stage in many productions around the country. 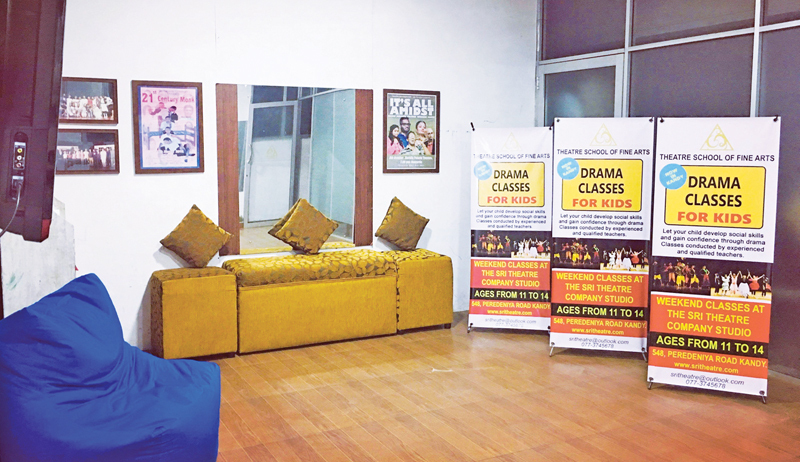 “Let your child develop social skills and confidence through drama” this is the approach and the objective of the course. The course will be conducted predominantly in English and will also include Sinhala and Tamil. The course will cover different aspects of acting, dance and music the course will also be conducted to suit both LAMDA and the local O-level, A-level syllabus. This is a practical course and will conclude with a festive concert where at the end the students will be trained and given an opportunity to confidently take to the stage. The Sri Theatre company believes that the young are the future and their confidence is paramount to building a healthier articulate nation.